What does L.E.D. stand for? L.E.D. or LED stands for Light Emitting Diode. Are these the same as HID (High Intensity Discharge)? Although LED technology is similar HID technology, they are not the same. Sometimes you may see LEDs advertised at HID LED. Our Dragon LEDZ offer cutting edge advancement in lighting technology such as: Reduced glare, better contrast, extended lifespan, more controlled and natural beam pattern, more stable lighting and less power consumption and drain on your vehicle's electrical systems. What is the main difference between LED and HID? The main difference is LED technology is much newer, more advanced and more reliable (In most cases). LED technology is Solid State vs. HID which is xenon gas encapsulated inside a glass tube which wildly scatters emitting lighting into a light housing. Voltage dramatically fluctuates and is in most cases is very unstable ( Which in turn leads to voltage spikes and can do a lot of damage to your car and it's components but are not limited to frying all your wires, housing, and electronics). LEDs also do not use ballasts which have been proven time and time again fail on a regular basis. LEDs are also shock/vibration proof so you no longer have to deal with all the issues associated with HID failures. Cost of ownership is greatly reduced and will save you time, money and stress in the long run. How do I install the LED bulbs? Every car is different in terms of getting to the headlight/fog light housing. Please refer to your car manual, dealership or auto body shop on how to do so. Once the old bulbs are out, the installation of the LEDs bulb is plug and play. DO NOT touch the LED chips with your bare hands for the oil and deposits from your hand will cause failure to the bulbs. Insert the LED bulbs into the housing where the old bulbs used to be and rotate the lamp body 45 degrees clockwise to lock in with the grooves. If you have a high beam and low beam all in one bulb, make sure the low beam chip is facing upward towards the sky when insert into the housing and high beams facing downward towards the ground when in the housing. Lastly, connect the power line socket with original car lamp connector. No need for ballast space because the ballast is integrated with the turbo fan. For H13, high and low beam in one, beam can be adjusted with a mini Allen wrench (included) for better lighting pattern. To do so, unscrew the mini silver screw, turn to desire height and tighten the screw again to secure. What color LEDs do you have? Our LEDs are typically 5700-6500K. Kelvin (K) is a unit used to measure temperature on a given scale. 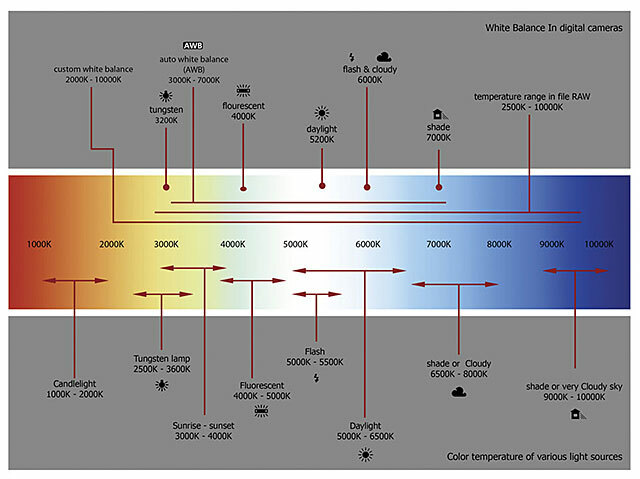 The degree of temperature produces the color of visible light given out. Our 6500K is a crystal white light with a hint of blue. Standard yellow stock light is 2500K-3700K. As the Kelvin increases above 6500K to 8K, 10K, 12K and higher, the light turns to blue and deep purple. The visibility and distance of light significantly decreases and is not at all optimal for driving, making it rather dangerous. Q. Why do your LEDz have such a low lumen rating, yet are so much brighter than other leds on market claiming much higher lumen outputs? A. When it comes to true ratings for LEDS. We set the standard. We don’t believe in deceiving customers or prospects just to sell them something. This actually bothers us, a lot. Even some of the most prestigious led companies pad their numbers. We’re not even sure how they sleep at night to be honest. DISHONEST isn’t in our vocabulary. Never has, never will be. Q. I have DRL. Will your LEDz work with my vehicle? A. 99.9% of the time our LEDz will work with almost any vehicle. However, nothing is perfect. Please send us a text or email before ordering LEDz for your DRL. We have over 100 different types of CANBUS modules in stock. Chances are, if we don’t have it, nobody will.